Here’s your morning photographic space delight: the International Space Station and the last European automated transfer vehicle (ATV), Georges Lemaître, taken using a camera and 10-inch Newtonian telescope. 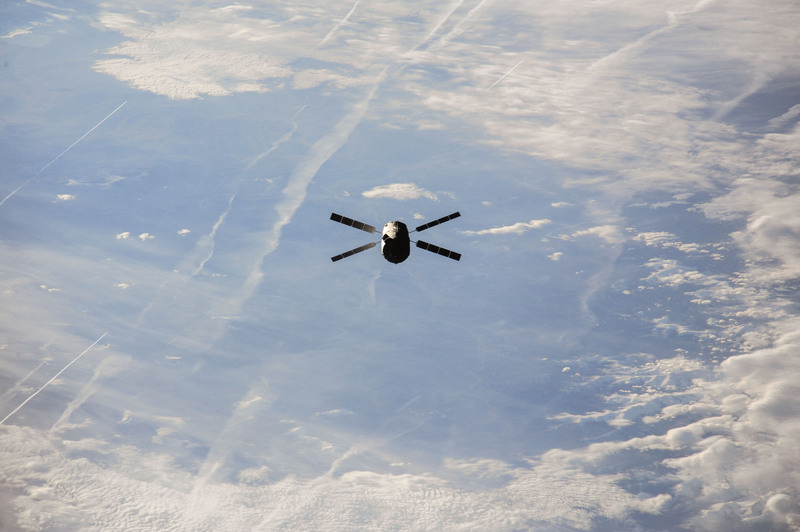 The photographer, Ralf Vandebergh, captured these images as the ATV flew to the space station. The ATV launched flawlessly on July 30 and is expected to meet up with the station on Aug. 12. Check out pictures of the cargo vehicle below the jump. The vehicle will stay docked to the space station for six months before making a planned re-entry in the atmosphere with a load of trash. The European Space Agency plans to track its fiery destruction to better design cargo vehicles in the future. “The project is proceeding under our ‘Design for Demise’ effort to design space hardware in such a way that it is less likely to survive reentry and potentially endanger the public,”said Neil Murray, who is leading the project at the European Space Agency (ESA), in a July statement. 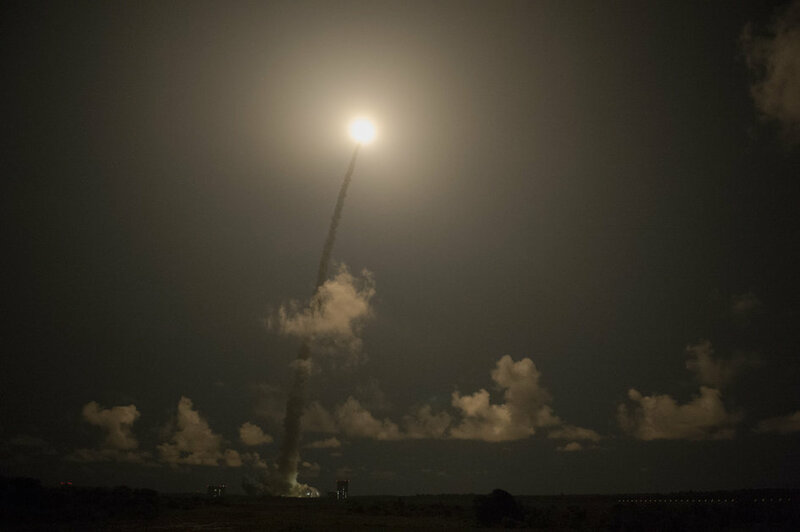 The last of Europe’s five automated transfer vehicles made a flawless launch to orbit yesterday (July 30). So far, all is going well with ATV Georges Lemaître as it brings a load of cargo to the International Space Station. You can watch the launch above. The ship is not only acting as a freighter, but a testbed for technology to help with docking and re-entry. It will take until Aug. 12 for the ATV to make its way to the space station. On its way, the vehicle will do a flyaround to test a laser infrared imaging sensor that could help future space vehicles dock with objects that don’t have docking ports. Then it will stick on the space station for up to six months before making a planned re-entry, full of trash. In a first for Europe, how the ship breaks up will be carefully tracked to inform the design of future space vehicles that could survive re-entry. By the way, ESA has a stunning photo gallery of the rocket’s liftoff here, but we put a couple of samples below. It’s sad to think about, but there will be a day sometime when the International Space Station makes its final journey — a destructive re-entry into Earth’s atmosphere. 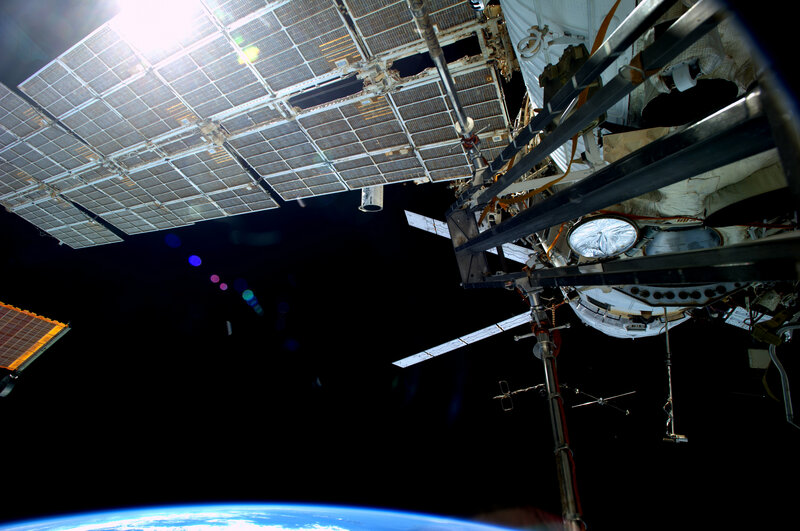 Historically, it’s been hard to break up large pieces of space hardware safely. Pieces of the Skylab space station famously rained down in Australia, while Mir’s demise triggered warnings across its re-entry path. The European Space Agency sees an opportunity to gather more information for this future use: closely watching what happens when the final Automated Transfer Vehicle (ATV), Georges Lemaître, goes to the International Space Station and has its planned breakup in the atmosphere following the shipment. They plan to record its last moments using a heat-seeking camera on the inside of the spacecraft. This sort of thing has been done before with NASA and the Japanese Aerospace Exploration Agency, but this will be a first for ESA. “The data should also hold broader value,” stated Neil Murray, who is leading the project at the European Space Agency (ESA). The camera will ride inside, bolted to a rack, and transmit the last 20 seconds of its lifetime to a special Reentry Satcom capsule that is designed to survive the breakup. The data will in turn be sent to Earth using an Iridium satellite. While the SatCom will be protected by a heatshield, the challenge will be transmitting the information through the plasma generated as it falls at 6 to 7 kilometers (3.7 to 4.3 miles) a second. The breakup will happen at 80 kilometers (50 miles) and the plasma will be there until below an altitude of about 40 kilometers (25 miles), ESA stated. “The fall will generate high-temperature plasma around it, but signals from its omnidirectional antenna should be able to make it through any gap in the plasma to the rear,” the agency added. Georges Lemaître is expected to launch later this month and last six months in space before re-entry.